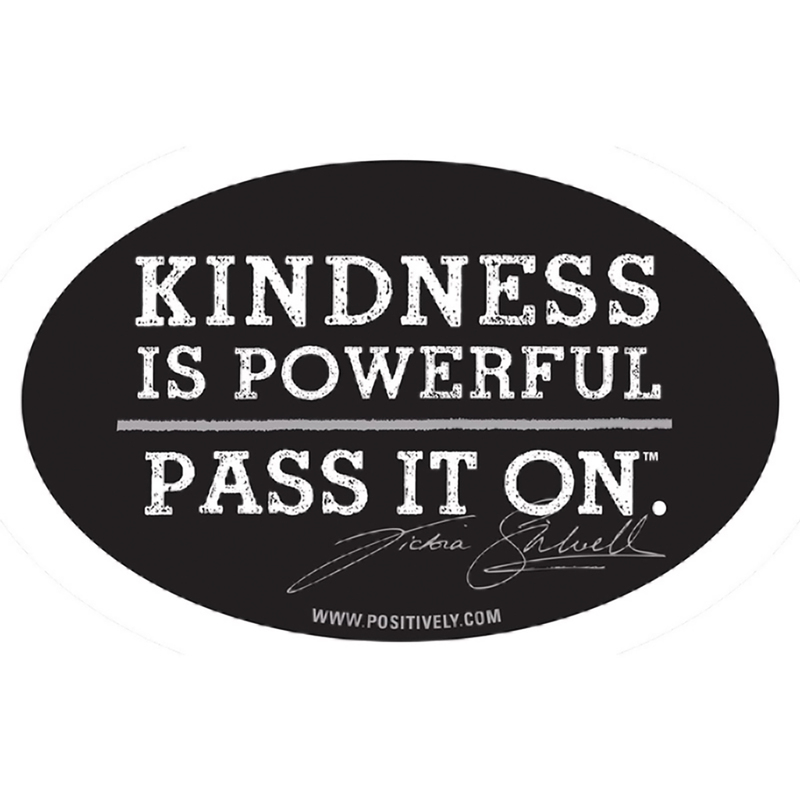 Classic oval-shaped bumper sticker with the ‘Kindness is Powerful’ motto. Includes Victoria’s signature and the Positively logo as well. Size is 4”x6”. Kindness is indeed very powerful, and this is the sticker to help you promote the message anywhere you see fit. Pass it on! Just a cute sticker that I've taped to my fridge to remind me it's better to be kind than to be cruel. That applies to animals as well as people.